Home » Posts » Attentionology for K-5 Teachers » Teach with Puppets – Crafty Crowd-Pleasers! 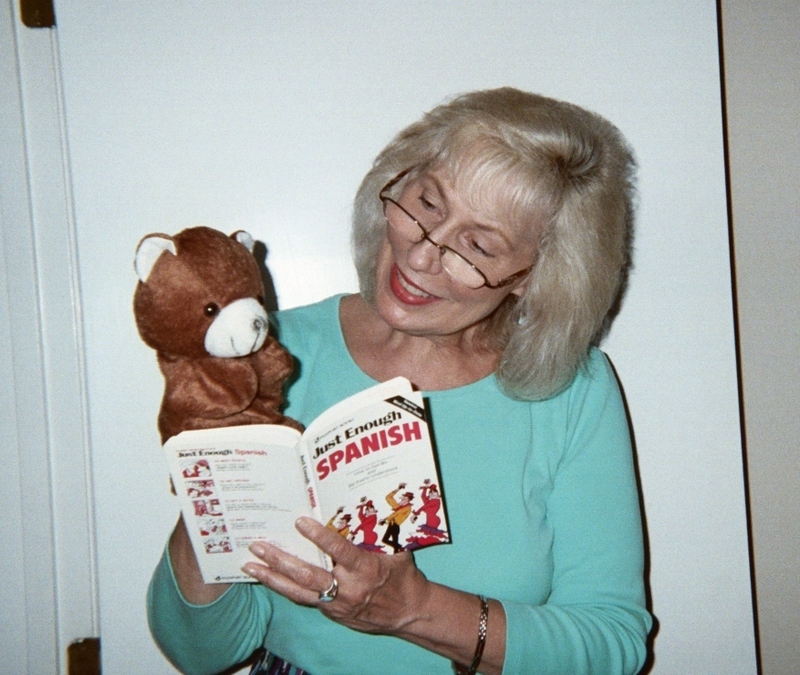 Look at the little bear learning to read and speak Spanish in my blog pic here and see if you agree with me that a puppet can be a perfect teacher’s assistant! Puppets have a fascinating history worldwide. You may have heard of the famous English puppet duo – Punch and Judy. Perhaps you’ve folded your fingers over your thumb to form a shadow puppet that looks like a biting crocodile against a solid sunlit wall. The most famous shadow puppets come from Indonesia. Pop up stick puppets are popular in Central and South American cultures and across the globe in Europe, stuffed fabric animals and doll-like characters have entertained children and adults for generations. In African nations and in other parts of the world, too, some puppets are the size of the people who operate them. And then of course, there are the world-famous round-faced residents of a certain street in New York City. Here’ s the most important tip that teachers need to know about using puppets to catch and keep K – 5 kids’ attention…It’s easy to do! Why? Because all it takes to bring a puppet to life is a little bit of hand action and a voice that’s different from your own. No professional theater training required for this magical teaching trick! I’ve used puppets successfully without even hiding my face from the audience. Look again at the way I’m holding the little bear behind the Spanish language book in my blog pic above. When I make this bear – his name is “Bebe” – talk to my students (or campers, or church school group, or…you get the idea that you can use puppets in any children’s program) I look at the bear, not at the class. When I’m speaking in my regular voice, I look directly at the children. The children follow my eyes so when “Bebe’s” voice is “on” the children are focused on the little fur ball; they don’t care that my mouth is moving to make the bear speak. Of course, if you want to use a theater of some sort to hide yourself when you’re teaching with a puppet or two, you can do that. Let’s save theater design and simple puppet-making for other blogs; even simple stage settings can be effective attention-getting tools to use with easy-to-make puppets. For now, we’ll stick with how you can use inexpensive-to-buy puppets to help kids master a wide range of skills. Be aware that puppets as teaching tools can be effective with a wide age range of children, depending on the puppets you choose to use and the “dialog” you create for interacting with your students. “Bebe” is obviously appropriate for the early grades. One of the best tricks to use with puppets is to ask children to kindly help a character like “Bebe” with his learning. This approach is especially helpful to kids who need to build skills, confidence and self-esteem. Why? Because when they discover that “Bebe” needs help learning Spanish, for example, they realize that they are not the only ones have difficulty with the subject. Puppets can be so reassuring! Labadia also described how effectively puppets beat boredom in educational settings that include special needs kids. “Puppets can teach a concept over and over, and still get a response,” he asserted. Enjoy the satisfaction of watching your kids learn your curriculum more effectively, learn about themselves as they interact with your puppet, and have fun in the process! ‹ Eyes on the Sky! great work teachers, hi i’m from philippines equipping preschooler teachers to use puppets in class. thanks for the info you share to the world. God bless!!! 2 Pings/Trackbacks for "Teach with Puppets – Crafty Crowd-Pleasers!"